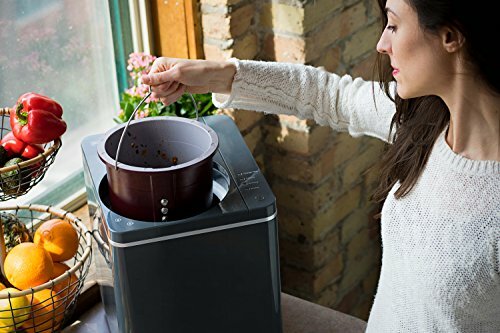 Make use of your food waste with the FoodCycler Eco-Friendly Food Recycler. Eco-friendly and efficient, this device takes your food scraps and turns them into nutrient-rich soil. The FoodCycler actually reduces the waste by up to 90% and the soil is perfect for your garden. All you have to do is remove the lid, drop in your food scraps, and run the system once the bucket is full. In just three hours, you have soil at your disposal. Without requiring pellets, enzymes, or additives, the FoodCycler reduces gas emissions. It’s also odorless and lightweight. Best of all, it uses minimal electricity both in standby mode and while working, making it truly eco-friendly. It’s the ultimate solution for food waste and keeping your garden lush and green.